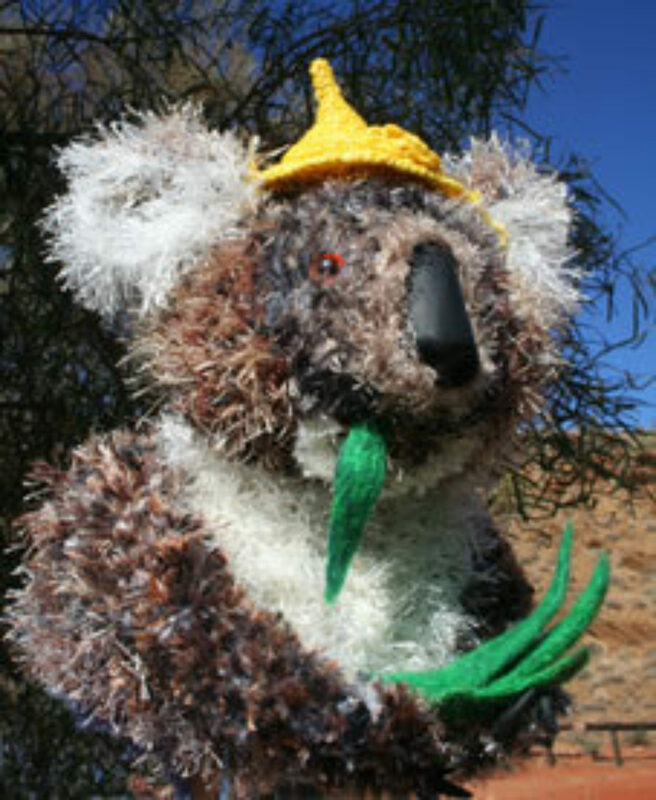 Friday June 27 - Monday 30 June 2008 In the vast Anangu Pitjantjatjara Yankunytjatjara Lands of Australia’s Central Desert the traditional people (Anangu) have been making and wearing beanies for all of time. 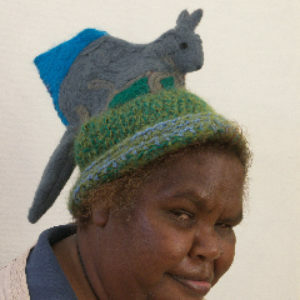 Traditionally in Pitjantjatjara and Luritja languages beanies are called ‘mukata’. 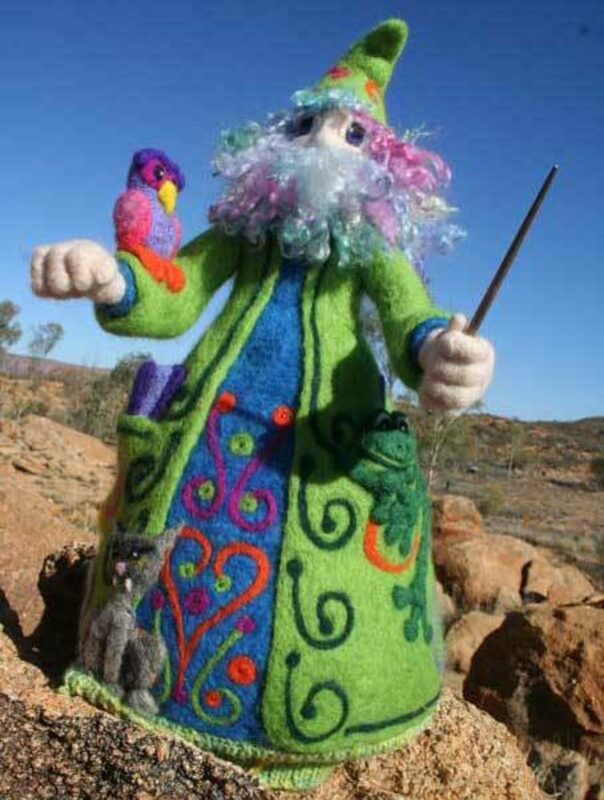 If you venture further south-west, then the language is Yankunytjatjara, where they call them ‘muna’. 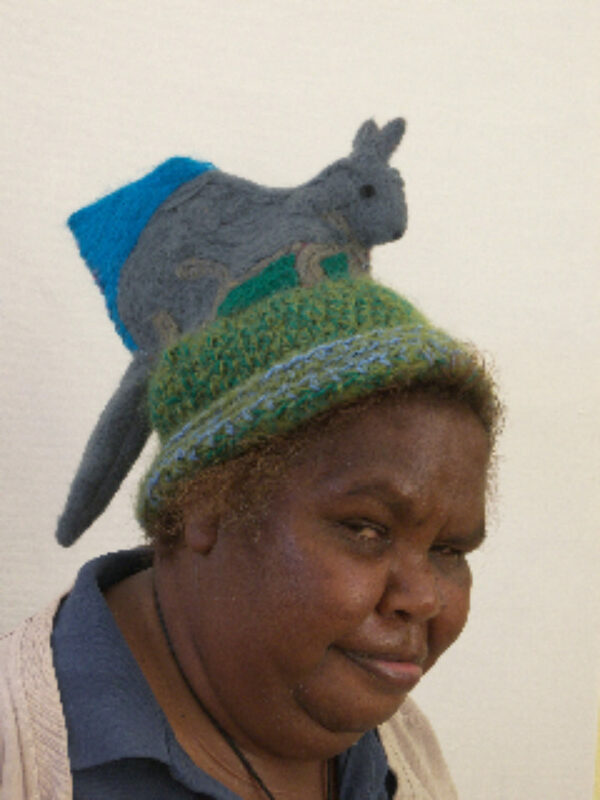 The Walpari people of theTamami Desert, north-west of Alice Springs call beanies ‘mukati’. All languages are dynamic and these days lots of people in the centre just call beanies mukata. 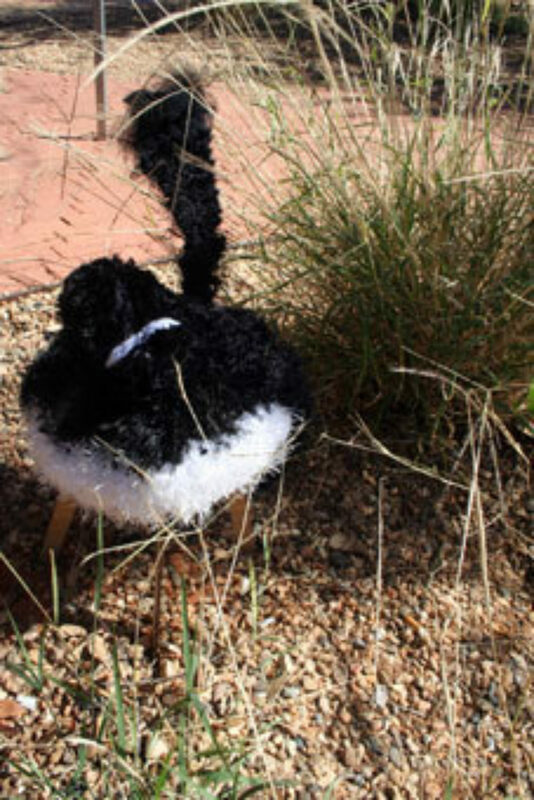 This year we celebrate mukata made from emu feathers, seeds and yarns spun in the old way that embody the Central Desert. They remind us you can tell people’s address by their head-dress – whether it’s a chullo from Peru, a fez from Morocco, a beret from France, or a ushanka from Russia. What’s your head-dress? 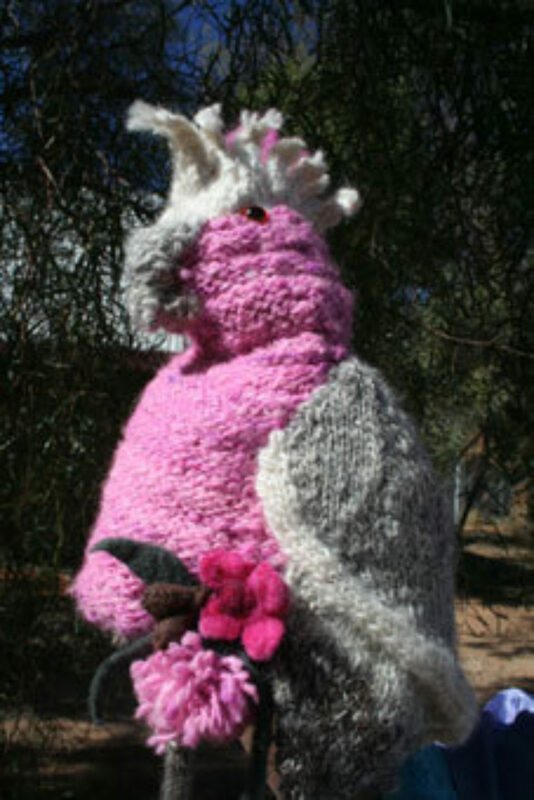 We invite beanieologists everywhere to join us by making beanies with your own traditional twist. 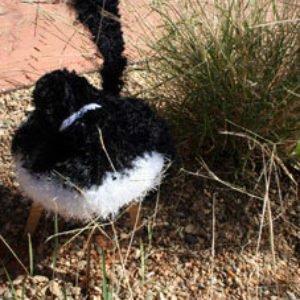 2008 was the twelfth annual festival. It was fantastic. We received more 5389 beanies in Beanie Central and another 443 in the competition. More than 10,000 people came to the festival- 1500 alone actually made it through the doors on opening night to be counted. 700 people voted in the People’s Prize on the festival weekend. The festival spread out and was enriched by the diversity of workshops and stalls. Bush tucker was a fantastic addition to the festival with many people trying kangaroo tail for the first time. The starlight dinners and the balloooning tours were loved and well attended. Of course, the main reason everyone was there was beanies. They were loved, laughed at, tried on and taken home. Many thanks to all those who donated beanies. 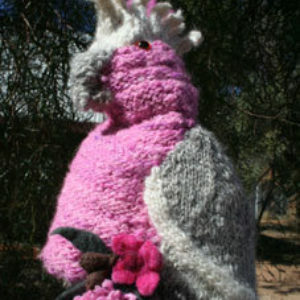 Some makers donated beanies for sale, as a donation to the Beanie Festival. Others donated works at the end of the festival. These beanies were given to the Cancer Council’s Look Good, Feel Good program, the Leukemia Foundation and also to several old people’s homes in remote Aboriginal communities. Thankyou so much for that brilliant effort. The success of the festival is dependent on our makers and on our volunteers. 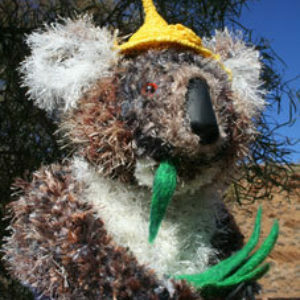 In 2008, the festival ran workshops in the following communities * Titjikala, where an incredible range of puppet beanies were made. 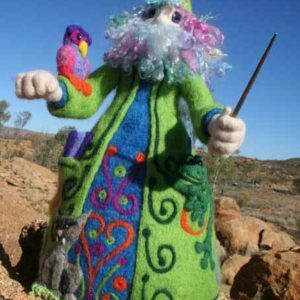 * Ernabella Arts, where a fantastic series of hand dyed needlefelted beanies were made * Mutijulu, a community that made their first series of felted works. Workshops were also held in the following schools * Anzac Hill High * Alice Springs Steiner School * Braitling Primary * Yirara College. Many thanks to all the participants and workshop facilitators- the work was fantastic and well received.